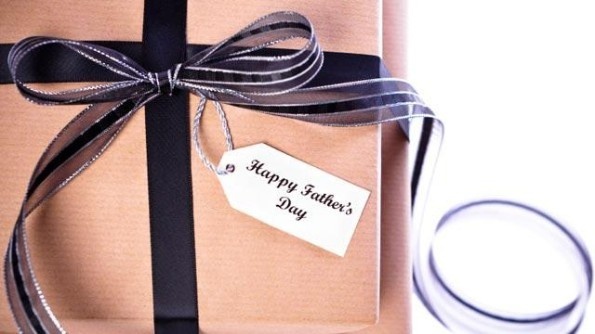 Give Dad a gift that helps him maintain dignity and normalcy. For older dads, there’s nothing like receiving a Father’s Day gift that keeps a man on the move and independent. Father’s Day is Sunday, June 21, and this year, considering getting Dad something he’ll actually use. As Dad gets older, sometimes the greatest gift we can give is something that helps him maintain dignity and normalcy. That can be the ideal gift for the dad who’s not quite as independent as he once was. For dads who are becoming a little less mobile and dexterous, a lightweight, portable folding reacher is ideal for retrieving items without bending or straining. Beam N Read is a hands-free light perfect for reading, household tasks, walking at night, staying safe in a power outage and more. Lightweight, wearable light features two brightness settings ideal for use indoors or out. For the dad who needs a little help getting in and out of vehicles, the CarCaddie or Handy Bar by Stander are portable support handles that easily attach to any car door. The Handy Bar even features a built-in seat belt cutter and side window breaker. BedCane with organizer lends a helping hand while keeping essentials within reach. Mobility handle is mounted on a base that easily slides between a mattress and box spring. Four-pocket organizer is perfect for storing remotes, glasses, medications and more. Other Stander mobility products make great gifts! From easy-to-install security poles and grab bars, to bed safety rails, to 2-in-1 trays with mobility handles, you and Dad can both feel good about being safer at home. Help Dad stay safe in one of a house’s most dangerous rooms, the bathroom. In addition to adding grab bars and a raised toilet seat, consider a Bath Step — a non-slip platform that makes it easier to get in and out of a bath or shower. Keep the lines of communication open with a big-button amplified phone designed for those with vision and hearing problems. Safety features to look for include large keypads and displays, visual and extra-loud ringers, one-touch dialing options and hearing-aid compatibility. You can’t put a price on peace of mind, which is why companies like Philips Lifeline help ensure anyone can communicate in an emergency. In addition to a landline telephone, Lifeline with Auto Alert includes a wearable pendant that can detect a fall and call for help even if the wearer can’t push the button. If Dad has an ongoing monthly expense, such as incontinence products or other health care supplies, consider a service like Never Run OutSM. You set up the quantity, delivery schedule and payment; Dad doesn’t have to travel to a store or run out of essential products. Dads like Mom’s Meals, too! Freshly prepared meals are delivered to Dad’s doorstep and can refrigerated for up to two weeks. Mom’s Meals offers specialty menus, including heart-friendly, diabetic, gluten-free and more. Stock Dad’s fridge or freezer with homemade meals with heating or preparation instructions included. And of course, a container of his favorite homemade treats is a great way to remind him how much he’s loved! Explore other areas of our site for more great gift ideas and other resources for seniors and caregivers, including a downloadable fall prevention guide.